Breathing in Grace: Wrap it up, I'll take it!!! Wrap it up, I'll take it!!! Look what we found yesterday while out shopping. 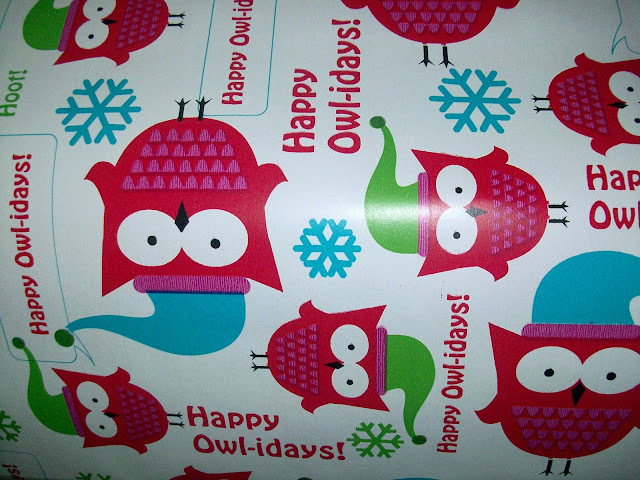 I haven't bought wrapping paper in years 'cause I have plenty....but "hoo" could resist this?!?!?!? So.....guess what my gifts will be wrapped in this year?!?!? No way! That is so perfect for you!!! Everyone will know 'who' wrapped those gifts! That paper is so you! I love it. Owls are taking over the retail world. They are so adorable.